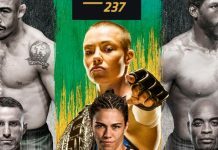 A key women’s strawweight bout between former title challengers Jessica Andrade and Karolina Kowalkiewicz served as the co-headliner of tonight’s UFC 228 event in Dallas. 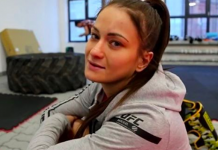 Karolina Kowalkiewicz enters tonight’s contest on a two-fight winning streak. 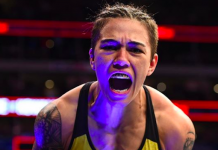 The Polish star defeated Felice Herrig via split-decision in her most recent octagon appearance at UFC 223 this past March in Brooklyn. 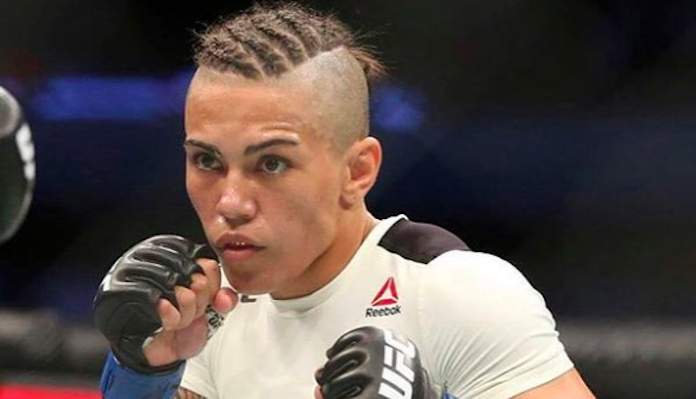 Meanwhile, Jessica Andrade has also won two straight fights. 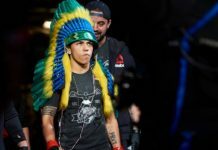 The Brazilian standout most recently defeated Tecia Torres this past February in Orlando. Round one begins and the fighters touch gloves. Andrade comes forward with a right hand that rocks Kowalkiewicz. Andrade with a flurry now. Karolina is in all sorts of trouble. Big shots from Andrade. Kowalkiewicz escapes the pocket and lands a jab. She follows that up with a knee in the clinch and then another. Andrade circles out and then lands a right hand. Karolina with a low kick. Andrade goes to the body with a side kick. Kowalkiewicz circles out and looks to find her range. Andrade leaps in with a right hand that lands flush and Karolina crashed to the floor this one is over folks. WOW! UFC 228 continues to deliver.